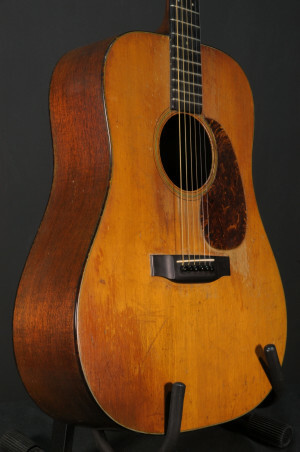 Gibson L-12. Made in 1939. Serial number 96569 white oval label. Original finish. Gorgeous patina. 17" lower bout. Sunburst finish. Handcarved bookmatched solid spruce top. 14-fret 2-piece maple neck with dark center stripe. Solid bubble maple back. Solid maple sides. Brazilian rosewood fingerboard. Art-deco peghead mother of pearl inlay and double parallelogram fingerboard inlay. Bound fingerboard, peghead and body. Bone nut. Replacement pickguard. Fishman Archtop pickup professionally installed - there's an old bridge included inside the case - we are not sure if it is original or not. Had a refret at some point and the frets still have many years of life in them. This guitar is ready to play right now! Comes with original tweed case that is in excellent condition. I'm blown away by the flame maple back. It has the original gold plated Kluson sealed tuners. It's art deco heaven, a really gorgeous guitar. It's a great sounding archtop, I would put it up against any archtop guitar. Original case with replacement handle - original handle is included in the case. 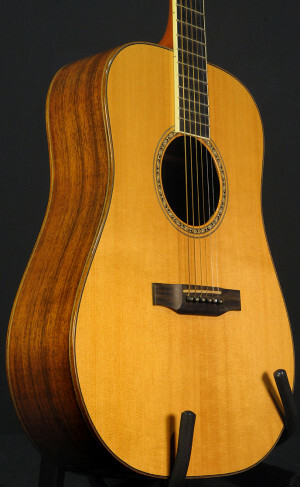 This is a 2011 Taylor W12ce-LTD Grand Concert Electric Acoustic. 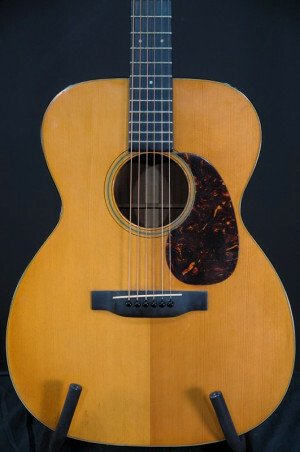 This GC features a Sitka Spruce top, with gorgeous Walnut back and sides. Features Taylor's Expression System pickup/electronics.